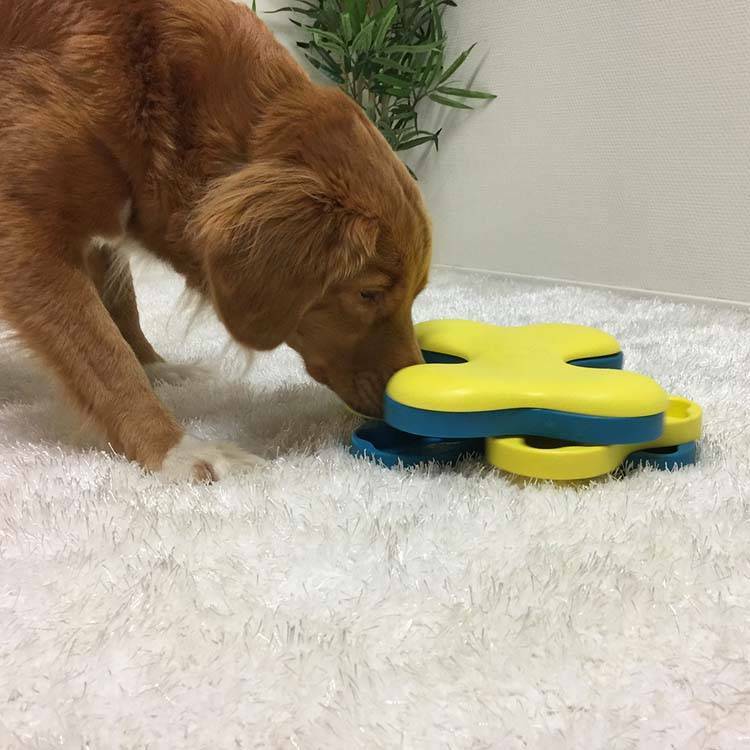 In this dog puzzle you can hide snacks or food in the compartments on different levels to challenge the dog every time. 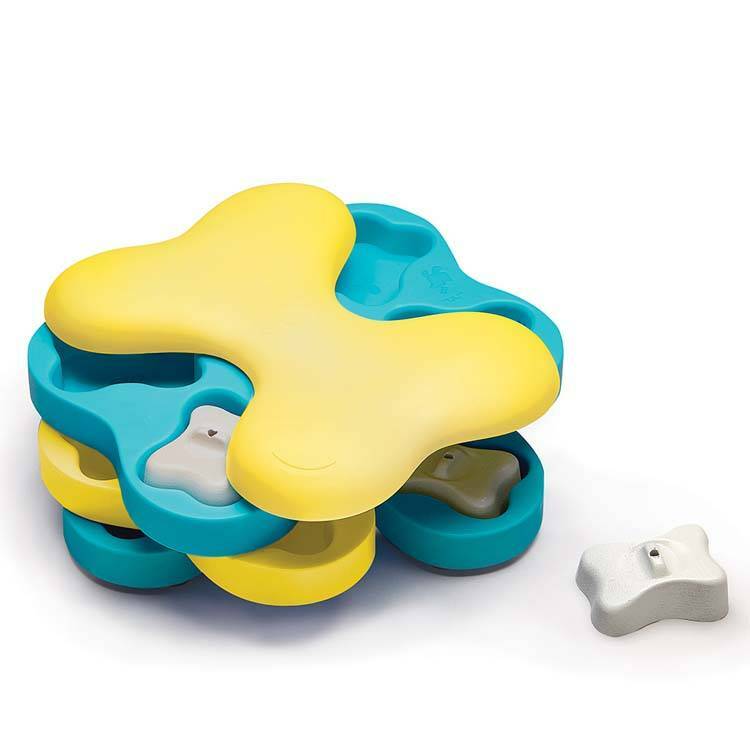 This dog puzzle offers a total of 12 compartments that are divided over different levels. 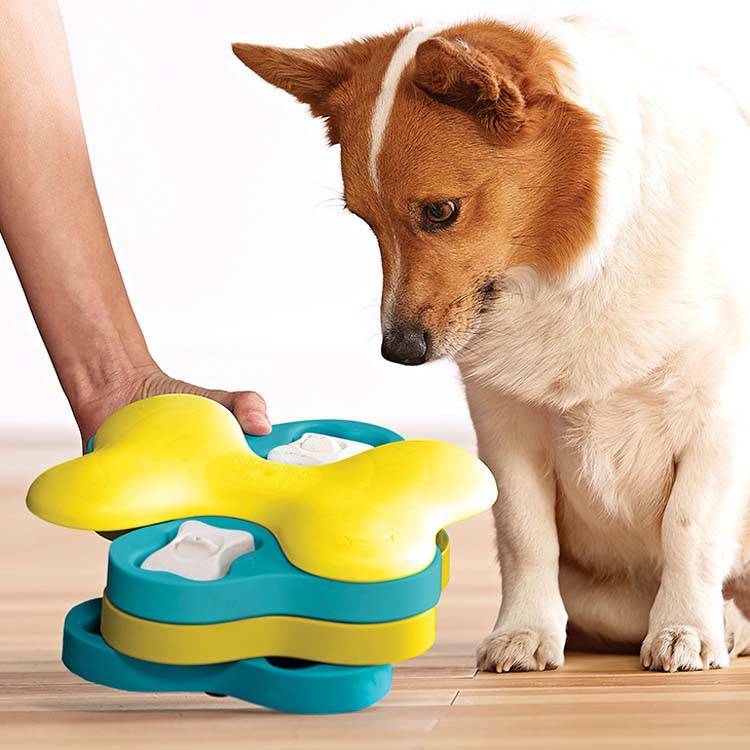 Every floor in this dog puzzle spins so that your dog is kept busy and challenged. It is a challenging way to let the dog play independently. 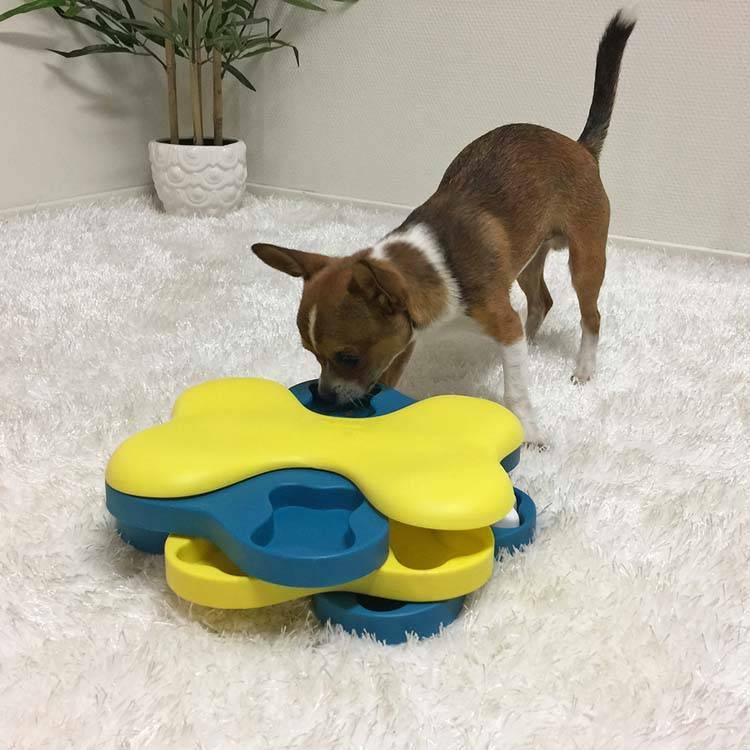 Because of the large amount of compartments you can use, this puzzle is also a smart choice to use for the dog's meal. With this dog puzzle you will prevent your dog from getting bored. This dog puzzle is a game for all dogs, regardless of their age, size or breed. They will have a lot of fun with this puzzle every time. You hide some snacks or crumble some food in the compartments of this puzzle and then you can cover the compartments with a white bone. The more compartments you close, the more challenging the puzzle is for your dog. The puzzle is easy to clean: remove all candies / chunks and clean it with a hand wash with warm soapy water, rinse it clean and dry it.